Get book one FREE! 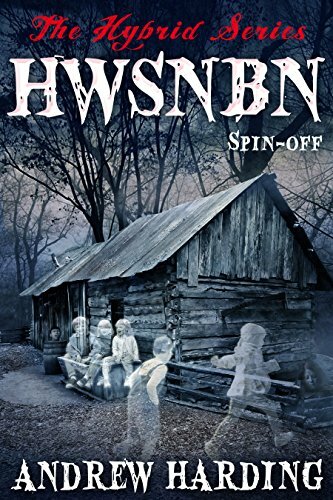 (for Kindle) on Amazon! after you’re hooked get the other two books for under $7 bucks!! Boxed Set: Three full-length vampire novels and a bonus novella from four Top Authors in the genre. What would you really give up to be a vampire? Ara and David fell in love under tragic circumstances, the emotions magnified by grief until one could no longer live without the other. But after David confesses that he’s a vampire, Ara’s recent brush with death leaves her wondering if she ever wants to see him again. In just two weeks she is expected to either leave her life behind for an eternity of murder in a cult-like society, or say goodbye to David. But when a decades-old feud between brothers erupts, Ara becomes the pawn in a sick, twisted game of life and death—one that forces her to face the reality of the choice she made. Will David learn what’s happened in time to save her, or did he plan this in the hopes that the brutalised girl would beg him to turn her? The sun’s light dimmed many centuries before; now in the year of 2,341 rampant vampires now stalk their victims in a half-lit world. Humanity has been overtaken by a new society: one comprised of vampires, the supernatural beings that hunt them, and the remaining humans they fight over. The laws and rules that once bound our world have long since been lost. Now, the Hunter Guild struggle to stay one step ahead of the Vampire Council. Esmore, Token Huntress, has exceeded all expectations at only 18 years of age. She is fearless leader to her team, and she is relentless in her pursuit of the enemy. There is only one problem: Esmore is struggling to repress the growing darkness that seduces her from within. Esmore takes another step into the darkness when she encounters a teasing, tantalizing — utterly unignorable — vampire. The lines between right and wrong are blurred further as Esmore gives into her temptation, and her reality becomes deliciously tainted both with evil and with lust. Seth McPhee is a monster on the hunt and his prey has never been more seductive. While Grace’s powers will ensure his leadership in the underworld, her beauty will make her captivity a pleasure. What would you do if you met the man of your dreams, who came to you only at night and promised you love everlasting? Eighteen-year-old Laura Dantonville meets handsome and mysterious Philippe in while on holiday in Italy, completely unaware of her own destiny and the part Philippe will play in it. Make sure you get your FREE eCopy! Snippets and Sneak Peaks is a collection of random chapters and samples from an array of projects I have completed and currently working on. A taste of stories to come. 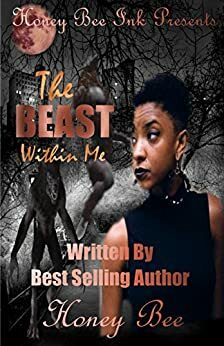 Honey Bee Ink has a 1 week sale for The Beast Within Me for only $0.99. Leaving a bad relationship and a small boring town in Tennessee, Trish Davenport moved to Brooklyn New York for fast life and some new excitement. What she didn’t know was that within the fast life and excitement came a new life in every sense of the phrase. There was a life that she only knew existed in books and T. V..
Trish learned of this new lifestyle when she was attacked in Central Park by what she thought was a Husky dog, when in fact it was the beast of all beasts. Take this wild ride into the life of Trish Davenport as she finds out that she has now become a werewolf. In this Hybrid Series spin-off, a new cell of hybrids is born, instigated after they meet by two hybrids, Gavin and Jane. Gavin stops on their way to Jane’s digs, to pick up her clothes, when he sees his boss out on a job. After he explains why he’s stopped, Jane tells him that two women were killed inside the house and their ghosts were trying to get the attention of his boss. From his boss’s first meeting with Jane, showing him how much of an asset she’d be to his nick, Gavin was asked the next morning if he’d take Jane with him to work. His boss, after a lengthy call to MI5, informed them that Gavin was supposed to head the murder squad and the new extension, mothballed for some time, was their new department. It wasn’t long before they were called out. Gavin took charge, but after a few cases with the same MO, he soon realised they’d need the help of the other cell. Outnumbered on this case, and the safety of the human side of his team paramount, he made the call. No other option. Book one of a Young Adult/paranormal trilogy. Free for a limited time. Beginning June 3rd through June 6th! Rita ‘Red’ James and friends realize that life after high school is more than just getting a job and being an adult. Forgotten memories reveal fantastic abilities and a dangerous past they can’t escape in Red Summer! Get your copy before the price goes back up!